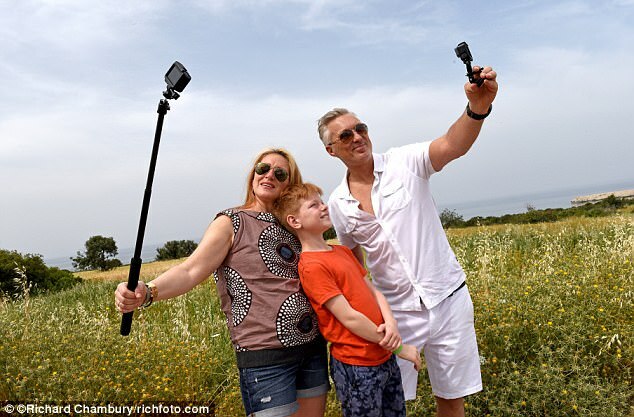 Spandau Ballet & East Enders star Martin Kemp reveals how to take the perfect holiday video whilst on Holiday in Paphos , Cyprus. It's hard to choose the kind of holiday mini-movie in which I’d like to star. A thriller, perhaps, as long as it doesn’t involve sharks or a lonely crevasse. A rom-com with my husband? Maybe a girls’ road trip like Thelma and Louise before they drive that green T-Bird into the Grand Canyon. The point is, I could be in any of them thanks to today’s technology – if only I was better at using it. I’d like to be, which is why I am in Cyprus with Martin Kemp, star of Spandau Ballet and BBC EastEnders, reality show judge, TV host, stage actor and film director too. He’s here in Paphos as his capacity as ambassador for First Choice’s All In campaign, which has been helping families get the most out of their holiday footage. I’m hoping he’s going to be able to sprinkle a little stardust over mine. We’re staying in Paphos, hometown of Aphrodite, the Greek goddess of love, and a place where an abundance of ancient history is bookended by the resort’s 2017 status as a European Capital of Culture 2017. 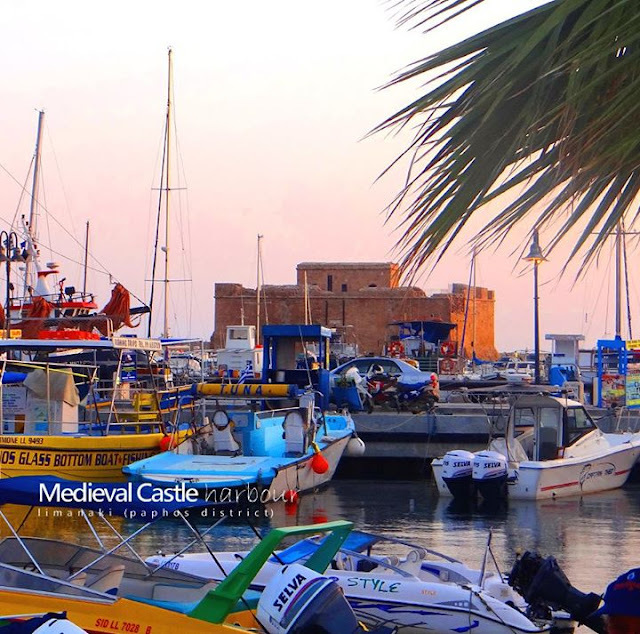 As well as world-famous mosaics and a traditional hilltop old town, Paphos has a busy arts and museum scene and a harbour-side of banging bars and twinkly souvenir shops. There’s even a bijou urban beach with a medieval castle standing sentinel over it. With Martin’s instructions about angles, action and audio echoing in my ears, I film Rufus more thoughtfully than usual. Akamas was where Aphrodite and her lover Adonis enjoyed romantic trysts but, with my funny son larking to order on the beach, it’s more Surf’s Up (the movie about surfing penguins) than From Here To Eternity. I also try my hand at some Attenborough-worthy images of Akamas’s gnarly juniper bushes and elegant cypresses, and the songbirds catching the breeze above pomegranate and fig trees. At lunchtime, Rufus takes a turn behind the camera, giving me a neat lesson in the difference between the digital natives of his generation and the digital immigrants of mine. He perfects a time-lapse picture of our taverna table which comes out looking like a Greek feast painted by an Old Master, all sizzled haloumi, ripe, red tomatoes and viridian olives. Afterwards, seeking a change of scene, we take an afternoon boat trip from the fishing village of Latchi to the Blue Lagoon, one of Cyprus’s most popular tourist spots. I jump overboard and understand why Cyprus has become a year-round destination despite being only four-and-a-half hours flight time from the UK. The temperature is in the high 20s and the early-May sea is already warm enough for a refreshing swim. While summer is peak season here, Cyprus’s kindly climate makes for a great spring or autumn break too. By sunset I feel as if I have enough material for a feature film. Maybe even one with a sequel! But Martin makes it clear that less is always more. Simila Cyprus Holiday Villas & Car Rentals have a superb selection of properties and cars available for your family holiday. The Holiday Village Aliathon, 200 yards from a beach and less than two miles by bus to Paphos’s harbour, is a spacious, modern complex. It has pools, bars and restaurants set in easy to navigate areas such as a replica Greek fishing village. There are on-site activities to suit toddlers, teenagers and parents – kids’ clubs, sports academies, evening entertainment and an adults-only spa. My favourite bit? Our sunny swim-up room with steps from the terrace into the pool. And for Rufus? The late-night, no-grown-ups-allowed Chocolate Club. It’s an all-inclusive resort with a reputation for excellent food and facilities but it would be a shame not to venture out to see some of the local treasures on Unesco’s World Heritage Site list or take an excursion or two. As well as the Akamas peninsula, there are easy day-trips to pretty mountain villages with Cypriot wine and lace for sale, carob bakeries to enjoy, and some of the best Byzantine churches in the Med. Rufus and I say farewell and thank you to Martin over dinner in Mare e Monti, one of Paphos’s smartest Italian restaurants. He tells us how he spent the money from his first record deal on an analogue Super 8 motion picture camera back in 1979 and hasn’t stopped filming since. Yes Martin, I do. But as you’ve proved in 2017, anybody can make a holiday movie with no drama other than what’s on screen. Even me. And that’s a wrap.